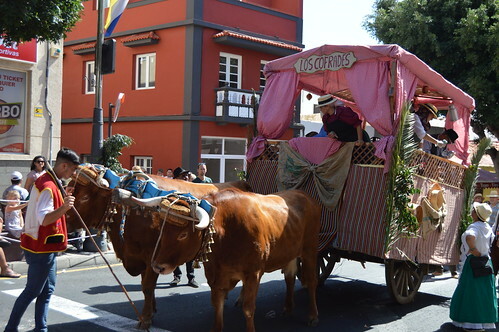 After three weeks of Virgen del Encarnacion celebrations, Adeje had one last flourish on the final Sunday as the romeria slowly edged its way up the Calle Grande. 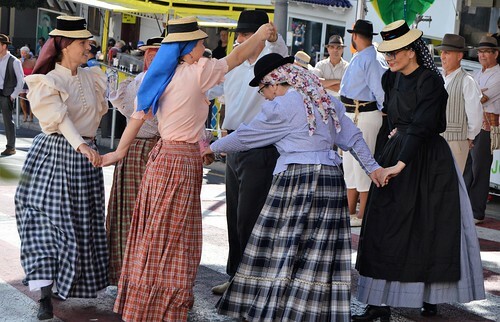 Tenerife has no shortage of fiestas but each regional variation is bursting with pride at their own particular slice of history and culture. 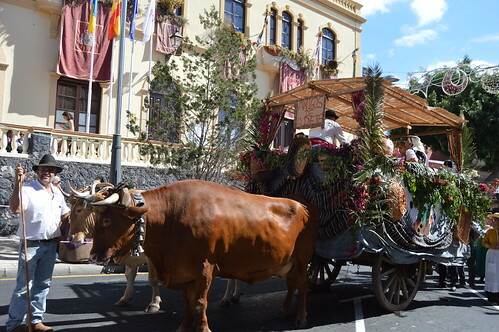 Large carts trundled up the main avenue decked out with flowers, baskets and home produce, and pulled by powerful and majestic bullocks. Arriving a little late due to football, I could have been forgiven for thinking I had missed the show. Council cleaners were already brushing the lower street and cleaning away all the debris but it was just an example of the efficient organisation, and they would not catch up to the moving tail of the procession until much later. Bars and restaurants in the street were spilling out onto pavement tables and chairs, and had been busy since mid morning. Local produce was getting plenty of attention today, wines, cheeses, breads, and meats cooked on small barbecues along the route. 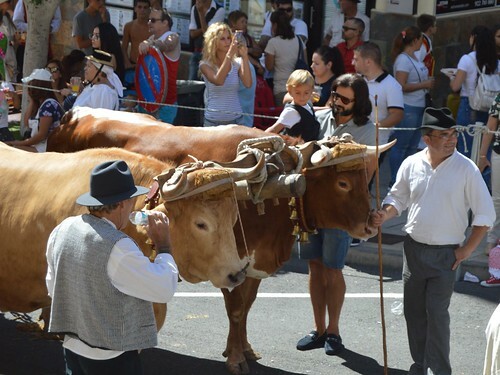 It´s very much a family affair, children are encouraged to take an interest and to learn the traditional ways, they will be running future fiestas. 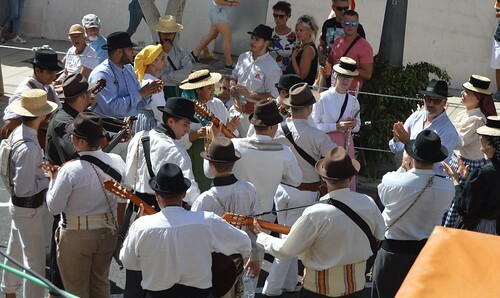 Music and dancing were in full flow between the carts, and a huge stage awaited on the Plaza de España at the top of the street. Miss Sur had been duly elected the previous night and a succession of concerts had ensured late nights and tired feet. 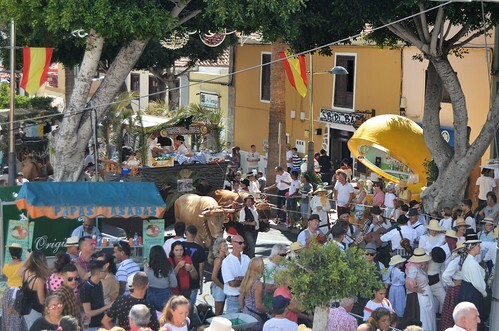 Calle Grande is a fine backdrop for the events of Adeje, the tight, steep street encourages mingling and friendship, the town hall is proud and imposing, and the church is rich with history. 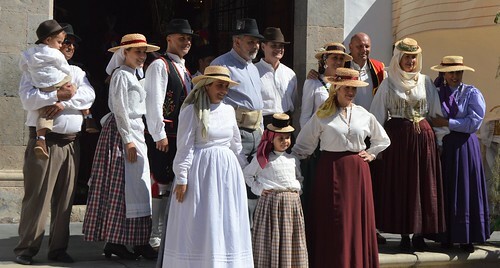 Adeje´s school of folklore ensures that there is a next generation of knowledgeable revellers, and they have all the moves. 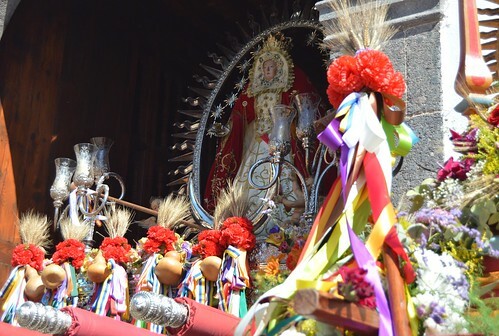 The large statue of the Virgen held court in the doorway of the Iglesia de Santa Ursula church, and a smaller version stood just outside. 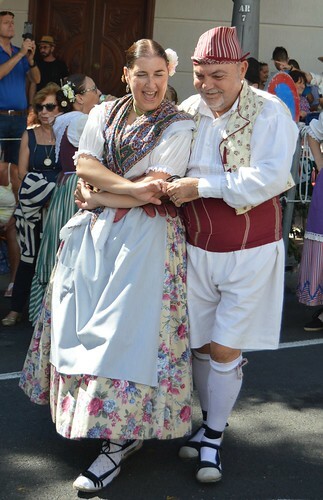 Both were gathering points for family groups to pose after offering their homage. 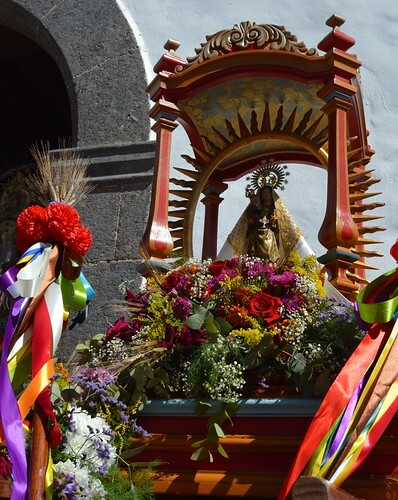 The main stage just below the church gets bigger every year and with the Barranco del Infierno gauging a deep path through the mountains behind it, the setting always inspires. 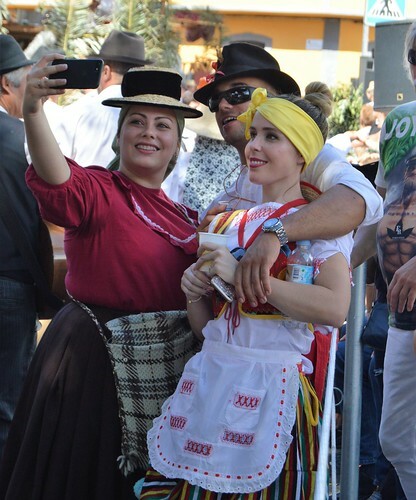 Adeje is no museum piece, it has changed with the times and continues to do so. On my way down the hill on the more modern side of town, I could see the two new large underground parking areas taking shape, thousands of people flock to Adeje to bask in its charms, and the administrative hub of the municipality is there too. 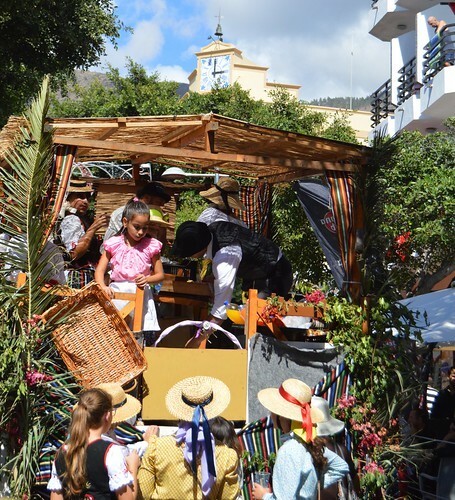 The future was on the back burner for the revellers at the romeria, there was plenty to celebrate and the afternoon was a glorious, sunny one. Ancient and modern were destined to rub shoulders long into the night. 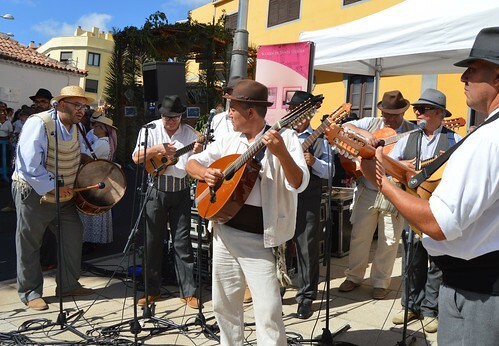 If you want to take a peep at what goes on and what to explore in Adeje, keep an eye on their official website.